Throughout most of North America and Europe it is Daffodil time. These bright happy flowers in shades of yellow, white, cream, orange, and even pink centered are cultivated and naturalized throughout these areas. Daffodils are some of the heralds of spring, and frankly always warm my gardener heart, but did you know they also make great cut flowers? 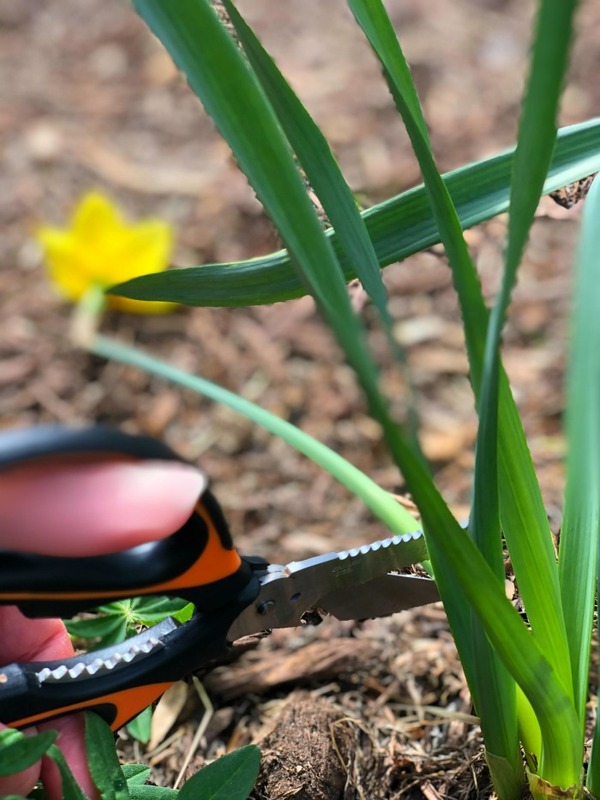 Cutting daffodils and conditioning them for flower arrangements is actually easy, but takes a little know how. You know what I am talking about, right? Thick bulbous stems… Gooey clear sap… Can you just plunk that in water? Well, kinda. It depends on your scenario. Do you want to cut daffodils for a vase of just daffodils or do you want to cut daffodils to mix in a flower arrangement? The process starts exactly the same! Daffodils are actually the genus Narcissus and part of the family Amaryllidaceae (amaryllis). They are closely related to other spring flowers like paper whites! Because of the beauty of these flowers there are likely more than 13,000 varieties of daffodils that have now been bred by growers. Thirteen THOUSAND! Wow! I managed to pick up some new ones this fall with soft pink centers which was a new color for me. You can find ones with green stripes, glowing orange centers, tiny one inch blossoms. So many options! Flowers tend to last a long time on the bulb. In certain climates daffodils will bloom up to 6 months. Most climates, the flowers will last 4-6 weeks. This gives you a long color time that can let other later bloomers start to fill in your flower boarders. 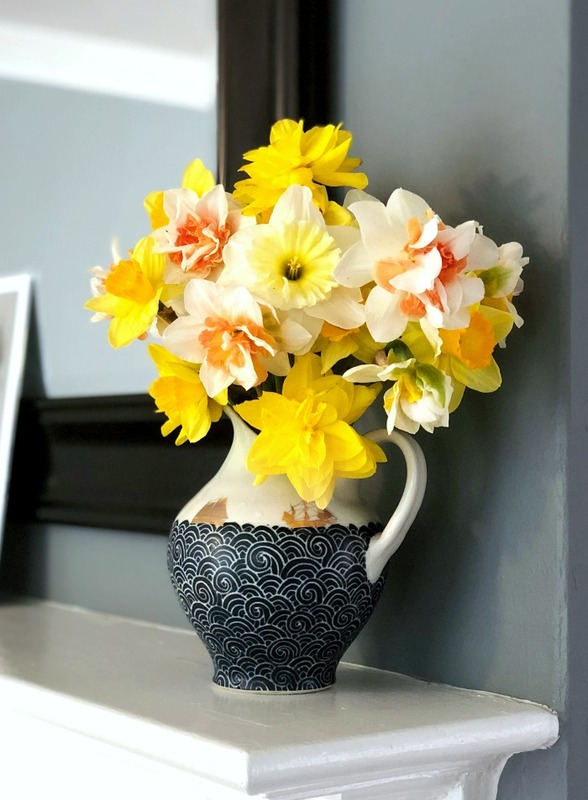 If you are wild about daffodils then there exists an American Daffodil Society and when looking for European societies try searching Narcissus or Jonquils as they are often called there. I plant a lot of daffodils. I am a sucker for those mixed bulb packs that go on super sale at the end of bulb season. Which means I end up with a bunch of double headed daffodils. Double headed daffodils are lovely! And fall over in a hot second. I don’t know who breeds them, but come on folks! Can we not focus on a stronger stem as well? I digress, but what this means is that, like clockwork, as soon as I get a spring wind (which is all spring), half my daffodils fall over. Instead of letting the ground enjoy their blossoms I go cut them all. Simply take a pair of sharp scissors and cut the fleshy stem as close to the base of the leaves as possible. LEAVE the leaves! It is important to leave the leaves on the bulb until they start to turn brown. The leaves feed the bulb and allow you get fresh flowers next year and potentially more bulbs to split or allow to fill in. Pro Tip: If the flower stem has gotten crimped, cut it at the base anyway. We will process those when we take them inside. Take all the daffodils inside. By this point you have lots of oozing stems. This clear sap is important and inflates the stems keeping the flower heads upright. It’s also kinda sticky, messy, and poisonous. I’m not sure why you would try to eat it… but don’t. Just wash your hands well when done. So that, goo… The sap can interfere with other flowers in a mixed flower arrangement by basically killing them faster. You can counteract this by sealing the stems with the moisture they have in them. They may not last quite as long, but still maintain flower pretty well, in my experience. They are very wet, fleshy, flowers and contain a lot of moisture that can be preserved. The process of sealing cut daffodils is easy and gets to involve FIRE! 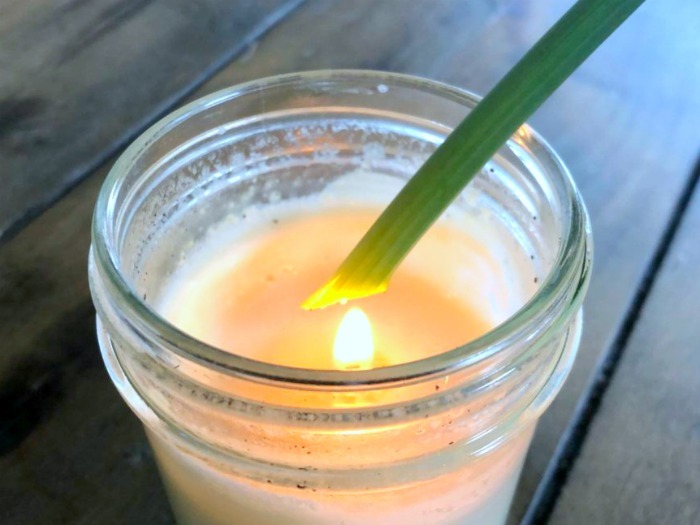 You are going to need a lighter at a minimum and a candle is super useful for processing a lot of daffodils. Stems can be cut flat or at 45 degrees, but need to be at the final height you plan to add them to your vase at. Take the cut end and pass it through a flame till it turns LIGHTLY brown. We aren’t cooking them! Set it aside for a second and make sure it is no longer leaking goo. Then add it to your vase with other cut flowers. Do I need to remind you fire is dangerous? Don’t sue me if you get burned! 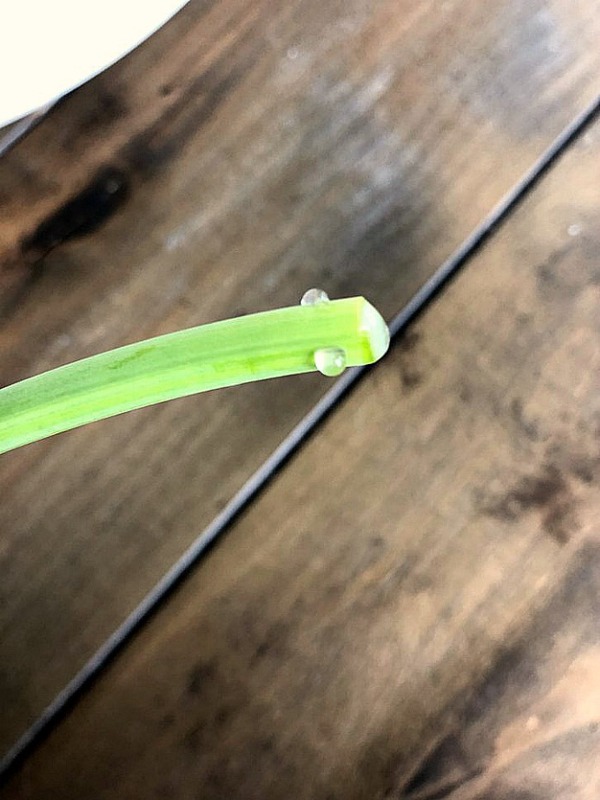 Crimped Stems: When the spring winds blow my daffodils will usually just curve over, but occasionally a stem will crimp. You have two options for dealing with this issue. You can simply cut the stem above the crimp or stabilize the crimped section straight. You have to do one, or the water from the vase will not make it to the flower head. I have a lot of luck just straightening the stem and supporting the flower amongst the other flowers. However, you can use clear plastic floral straws (affiliate link) to straighten the stem. Cut daffodil stems are usually too large to put in a regular drinking straw. Uncut flowers: If you don’t want to cut your daffodils you can also make planters for inside the home. Bulbs can be forced but they need 13 weeks or so of refrigeration. 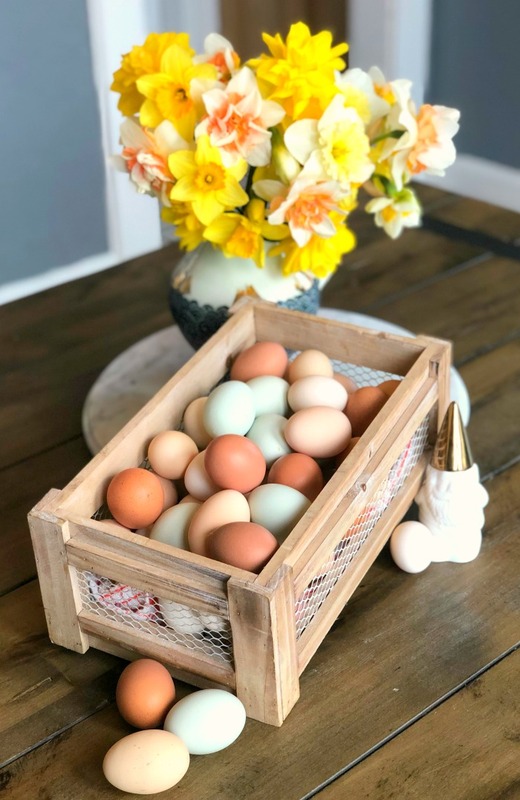 In my experience they do not do well when digging them up and bringing them inside, but most big box stores have bulbs ready to sprout potted and in stock. These make lovely centerpieces! I swear daffodils are just happy flowers! Scent: Be forewarned, these are technically a narcissus plant. Which means almost all varieties have a scent. I LOVE the smell, but some people are not fans. You might want to sniff a few before you bring tons indoors. Otherwise, enjoy bringing some sunny spring cut daffodils into your home to brighten these first days of Spring.